"In addition to these steps, consider meeting with a financial advisor to help create an overall plan specifically tailored meet the needs of you and your family"
RADNOR, Pa.--(BUSINESS WIRE)--This Valentine’s Day, Lincoln Financial Group (NYSE: LNC) encourages consumers to give their loved ones a gift that transcends flowers, champagne and chocolates: a strong financial plan. The company’s 2018 Responsibility of Love Survey found that while 88 percent of Americans say that setting a plan for their family’s financial future is an important priority, almost one-fourth say they are not doing a very good job setting that plan. 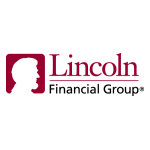 For that reason, Lincoln Financial suggests a few steps to help give consumers and their loved ones stronger peace of mind. Heat up your retirement savings. Skip buying chocolates this year because little changes to your spending can make a big difference. Take a few minutes to review your monthly expenses, from mortgage and car payments to your morning coffee. Cutting a little bit here and there may reveal extra money to save in your employer-sponsored retirement plan that will make a big difference. Take advantage of a few savings tools and calculators here. Fall in love with pursuing lifetime income. You found a love to last a lifetime, but will your savings withstand the test of time too? At a time when people are living longer and face greater risks to their savings, an annuity is a financial product designed for retirement that can provide you with guaranteed monthly income that’s protected and can last for as long as you live. There are different types of annuities to choose from, and a financial advisor can help you decide which type of annuity might be best for your individual needs, preferences and income planning goals. Get passionate about life insurance. A life insurance policy can serve as the financial foundation of a portfolio, helping to provide desirable financial protection in the event of a loved one’s death. As part of a larger financial plan, life insurance benefits can also offer advantages that help meet goals at every stage of life, including: funding a child’s education costs; strengthening retirement savings; creating additional cash flow; and helping to protect wealth for future generations. Follow Cupid’s arrow toward long-term care . The greatest changes to income and lifestyle may result from an unexpected long-term health care event. Knowledgeable advisors understand how this can affect a client’s portfolio. According to Lincoln’s survey, only 11 percent of Americans own a financial solution that can help with long-term care expenses and 46 percent know very little about those types of products. Different solutions can help provide a cushion. Understanding the various policies and choosing the best fit for your needs can help achieve a desired financial outcome during retirement. Sweeten a plan with accident coverage. Accidents are bound to happen, especially with active kids playing sports. However, are you prepared for the inevitable? Lincoln’s survey found that 65 percent of Americans are worried about not having enough money to cover an unexpected accident or illness, but only 15 percent had put a plan in place to help manage this concern. Accident insurance, often available through your employer, provides financial protection that can offset the cost of a deductible for things like emergency room visits and ambulance trips. 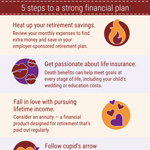 Visit www.lincolnfinancial.com for more tools and resources to help plan for those you love the most.